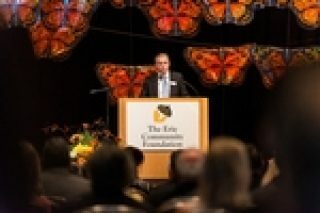 Tim Hunter, MRR President & CEO addressed the community at The Erie Community Foundation's annual meeting held this week. In 2016, The Erie Community Foundation received 18,433 gifts totally $11.2 million, and made 2,092 grants totaling $16,394,303. Tim serves as Chair of the ECF Board.